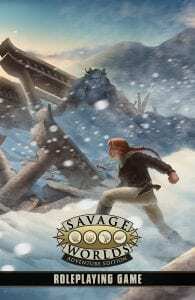 Savage Worlds Adventure Edition PledgeManager is Live! If you missed out on the Kickstarter, this may be the news you’ve been waiting for. You can join us now as a “late backer” in the Pledge Manager! Please note late backers do not gain access to all the digital rewards of the original backers. You may request a complimentary PDF for each of your physical items by emailing site.admin@peginc.com once your purchase is complete. The comp PDF will be placed in your Pinnacle website account, so if you don’t have an account yet, create one! Some items are limited (extra copies of the signed Collector’s Edition! ), so you may want to complete your order quickly to lock it in. 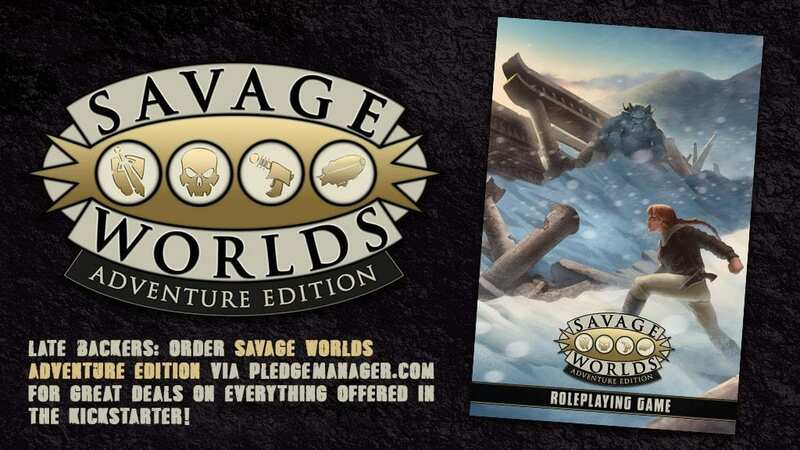 The Savage Worlds Adventure Edition Pledge Manager will remain open until April 3, 2019. Make sure you complete your order by then or shipping costs may change, especially for our international customers (We use freight forwarders for our international customers…if you literally miss the boat, we have to send it by more expensive means!). If you live in these regions, you probably know what this is. :) This is collected and filed for you so you have less hassle to get your order! We’ve rolled it into your shipping charges. If you see your shipping is priced at $999 that is a reminder for you to contact us for a shipping rate–do not complete your order or pay! Instead, add your shipping address and place in the cart what you intend to purchase, then email site.admin@peginc.com for a shipping quote. We’ll adjust the shipping once we confer with our warehouse and then you’ll complete the order and pay. This will happen for any large orders (for example, ordering more than three boxed sets). We want to get you the best rate possible. Thanks! Email Pinnacle at site.admin@peginc.com or PledgeManager at support@pledgemanager.com if you have any questions. New Bundle for Doomtown Reloaded! Shopping for that Deadlands fan in your life and want to put the entire print collection of our popular Doomtown card game under the tree? Look no further than the Doomtown Reloaded Bundle here! One click is all it takes to order one each of the Doomtown Reloaded Base Set and all Doomtown expansions in print for the discounted price of $349.99, giving you a whopping 19 boxes to wrap for that tree, including the latest releases of There Comes a Reckoning and Too Tough to Die. And don’t forget! 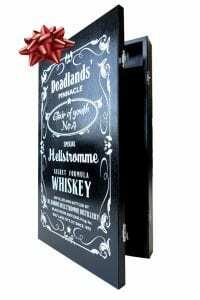 We also have the Deadlands Classic 20th Anniversary Edition Whiskey Boxed Set available for the discerning Deadlands fan, too! Deadlands Double Shot Kickstarters Begin Shipping April 17th! We’ve got a lot going on for Easter Monday. Not only are we ending the Double Feature Kickstarters based on two of our favorite Dark Horse Comics™ properties—The Goon™ RPG for Savage Worlds and Fear Agent™ RPG for Savage Worlds—but we start shipping the rewards for our last Double Shot of Kickstarters: Deadlands Classic 20th Anniversary Edition and Deadlands: Good Intentions! Did you pledge support for either or both of the Deadlands Kickstarters? You may want to check your PledgeManager survey now. If it shows anything other than “Order Complete” at the top left hand corner, your order is not ready to ship! If you have any trouble completing your PledgeManager survey, email site.admin@peginc.com and Jeannine Acevedo, our popular Production Assistant, will help you. If you placed a pre-order for either book on our website at www.peginc.com, good news! Your order will be shipping soon! We make sure all Kickstarter backers’ orders are in the mail before we begin on the pre-orders. You should receive an email with the tracking number when it ships. Soon after that, we release for retail sale and distribution. Look for it in your Friendly Local Game Store soon–and ask them if they are a Savage Retailer! 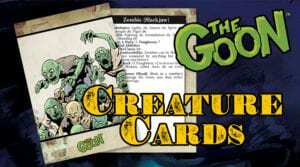 The Goon™ RPG for Savage Worlds Kickstarter: Now With Creature Cards! We couldn’t say it better ourselves, Mr. Raconteur! The Goon™ RPG for Savage Worlds Kickstarter has unlocked five stretch goals including one Savage Sampler Un-Stretch Goal! Read more about the Savage Sampler Un-Stretch Goal here (which applies to both The Goon™ RPG and Fear Agent™ RPG Kickstarters and is a terrific deal). 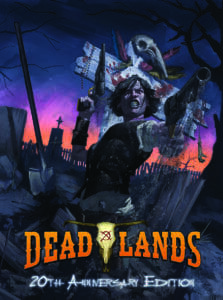 It includes PDFs of the Deadlands Player’s Guide and Marshal’s Handbook, Rippers Resurrected Player’s Guide and Game Master’s Handbook, The Last Parsec Core, and East Texas University. Don’t take our word for it! Read reviews on The Goon™ RPG by Cedric Chin at RPG.net and Tommy Brownell at The Most Unread Blog on the Internet. Ever. You might wanna look into The Goon™ RPG for Savage Worlds Kickstarter today. Before the big guy sends Franky to talk with ya! 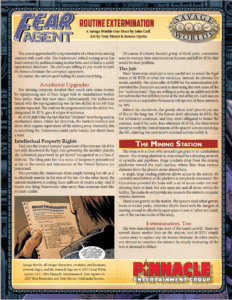 Fear Agent™ RPG for Savage Worlds Kickstarter: Now With Un-Stretch Goal PDFs! “I’m not a big sci-fi or military guy, but I do like scrappy fighters on the fringes of society who roll up their sleeves and punch more powerful adversaries in the face, and Fear Agent™ has that in spades.” —Tommy Brownell in his review on The Most Unread Blog on the Internet. Ever. 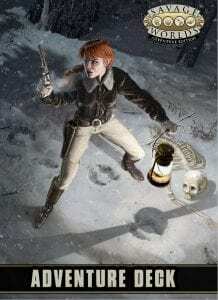 Fear Agent™ RPG is a pulp science fiction setting, but one seasoned with a touch of horror, a little bit of military action, and a splash of a good, old-fashioned Western. There’s a strong element of exploration, not only of unknown worlds, but also the strange alien races that make up the United Systems. We got scrappy fighters…in space! 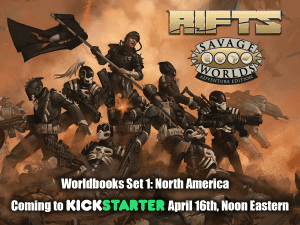 Fear Agent™ RPG for Savage Worlds Kickstarter has unlocked five stretch goals including one Savage Sampler Un-Stretch Goal! Read more about the Savage Sampler Un-Stretch Goal here (which applies to both The Goon™ RPG and Fear Agent™ RPG Kickstarters and is a terrific deal). It includes PDFs of the Deadlands Player’s Guide and Marshal’s Handbook, Rippers Resurrected Player’s Guide and Game Master’s Handbook, The Last Parsec Core, and East Texas University. 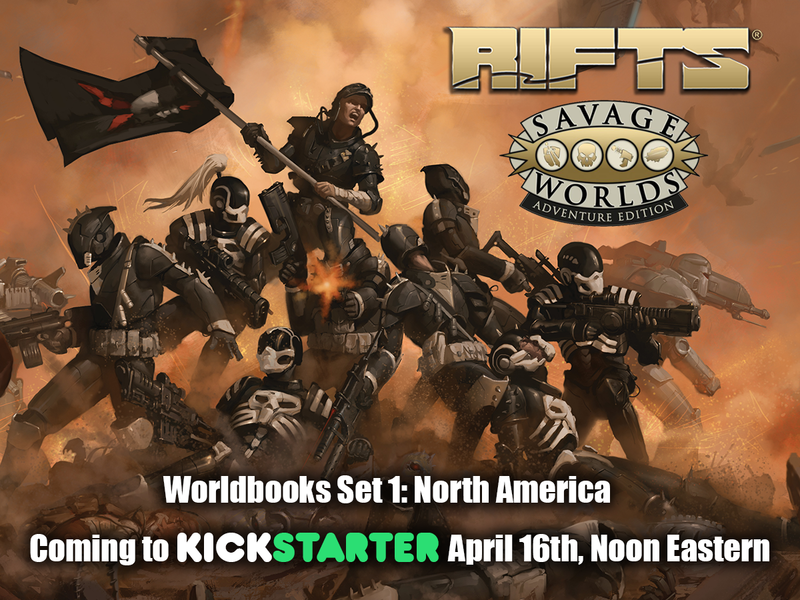 Join the fight in the Fear Agent™ RPG for Savage Worlds Kickstarter today! Those alien pests won’t kill themselves! FREE! The Goon™ RPG One Sheet Adventure: Trixie the Nixie! Want a better idea of what it’s like to play in the world of The Goon™? Try a One Sheet adventure for The Goon™ RPG: Trixie the Nixie! If you think is fun, you outta see the Kickstarter for The Goon™ RPG! FREE Fear Agent™ RPG One Sheet Adventure: Routine Extermination! So you want to fight nasty aliens with the Fear Agents, but not sure you’re up to the task? Look no further, friend! 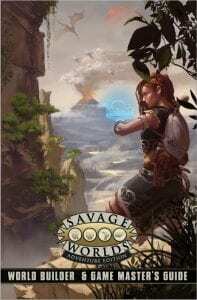 One Sheets for Savage Worlds give a Game Master a short adventure she can read and run that night! The name comes from being able to print the adventure on one sheet of paper (front and back). It includes the setup, backstory, bad guy stats, and some tips on running it. Routine Extermination gives a glimpse into the world of the Fear Agent™ RPG: gainful employment for your scrappy heroes and a twist worthy of the comics themselves! The Henrovians’ orbital mining array has been overrun by malfunctioning worker bots, and it’s led to a costly operational shutdown. The aliens are willing to pay nicely to have the heroes eliminate the corrupted equipment. Want more? Check out the Kickstarter for the Fear Agent™ RPG! 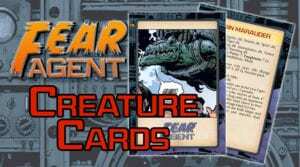 Q & As: Fear Agent™ RPG and The Goon™ RPG! We’ve had a lot of love from RPG.net* and #RPGnet chat lately! Matthew Cutter, Deadlands Brand Manager and author of Eris Beta-V for The Last Parsec talked about working on The Goon™ RPG with Hardboiled GMshoe Dan Davenport. You can read the #RPGnet chat transcript here. John “Night Train” Goff, author of fan favorites like Deadlands Noir and Deadlands Hell on Earth, talks about his latest project—Fear Agent™ RPG—in the #RPG.net chat on April 12th. Mark your calendars now, faithful Fear Agents! 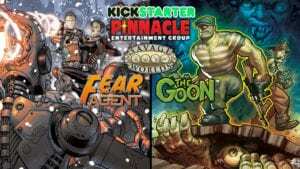 Our friends at RPG.net also had some questions for the PEG team about the latest Kickstarter Double Feature for Fear Agent™ RPG and The Goon™ RPG. RPG.net editor Rich Beaulieu grilled the PEG staff about the impact of running two Kickstarters at once, where the art comes from, and how to balance characters like Heath Huston from Fear Agent™ and Goon from The Goon™. Read the RPG.net Q & A here! *You know they’re not associated, RPG.net and #rpgnet chat, right? Good.